New Westminster, B.C. 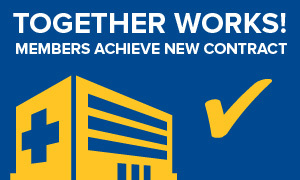 – April 11, 2019 – The new collective agreement for UFCW Local 1518 members working in community health has come into effect. The agreement brings in yearly wage increases of two percent over the next three years, as well as enhanced benefits, improved scheduling, and measures to address staff retention. Other highlights of the agreement include improvements to employment security provisions; the creation of a task force to investigate guaranteed hours and other issues; and additional funding for the Enhanced Disability Management Program. UFCW 1518 represents roughly 2,000 of the 16,000 home support workers who ratified the three-year contract with health employers across the province of B.C. The contract ratification follows a recent announcement that most of the issues surrounding low wage redress funding, one of the major gains of the last round of bargaining, had been resolved. “Because of the care our community health workers provide, many seniors and other vulnerable people are able to remain living independently in their own homes. It is a critical service and an essential part of our health care system,” says Kim Novak, President of UFCW Local 1518. “With this new collective agreement, UFCW 1518 members working in community health will be more fairly compensated for the important work that they do, moving closer to wage parity with other health care workers,” Novak adds. To read more about the new union contract for community health members in B.C., click here.